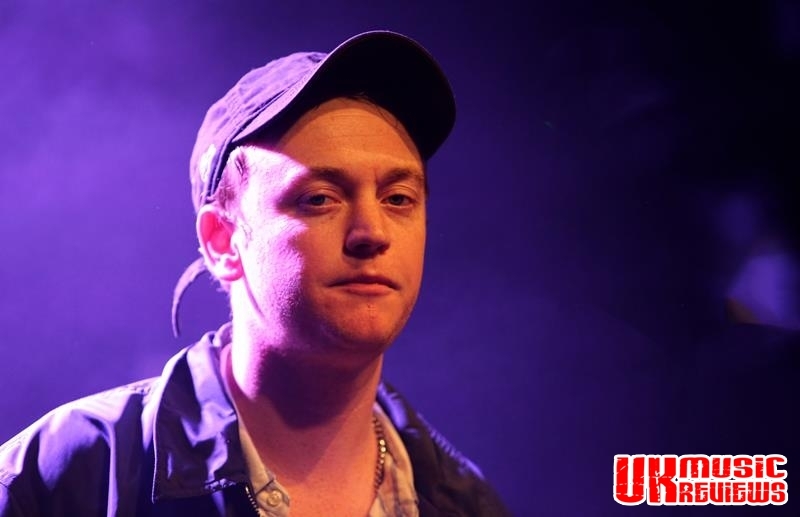 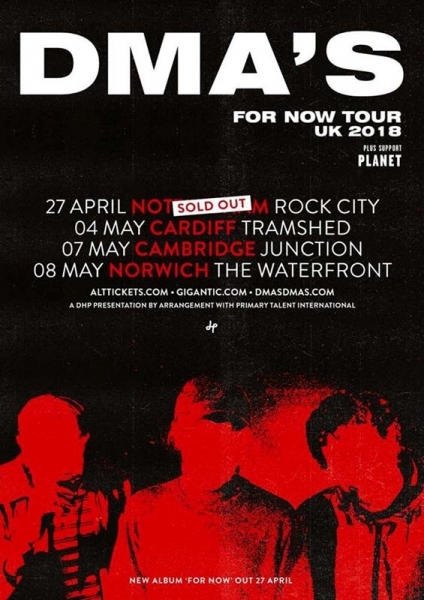 DMA’s performing their For Now Tour at Rock City Nottingham on Friday 27th April 2018. 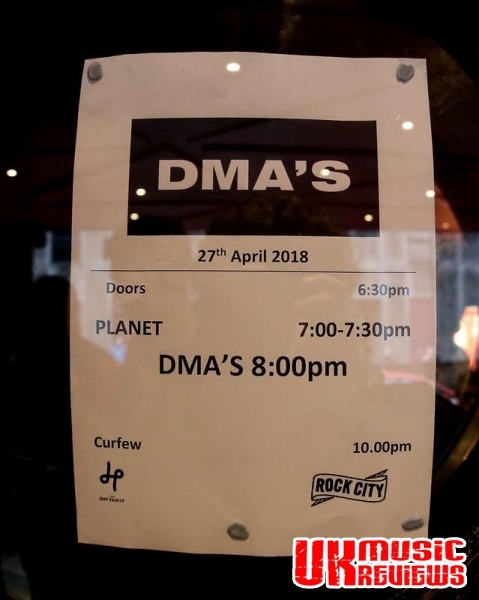 Scheduled to start at 8pm, the DMA’s kept the packed Rock City crowd waiting for over thirty minutes last night but when they launched into fans favourite, Feels Like 37 lager was thrown into the air, a mosh pit started, there was the first sing along of the night and all was forgiven. 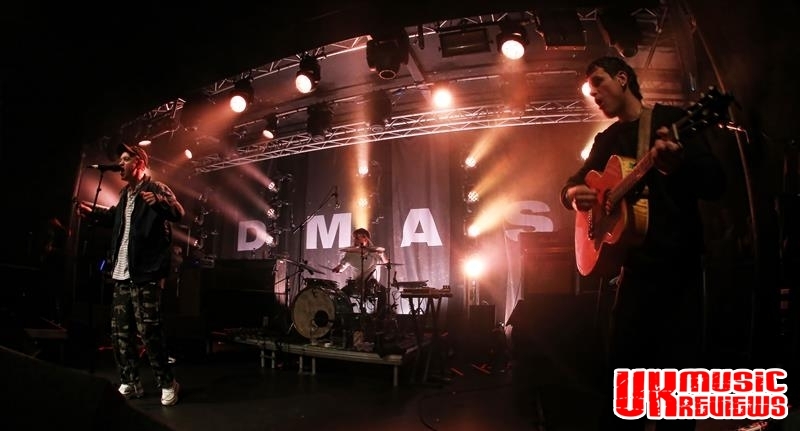 Made up of vocalist Tommy O’Dell and Matt Mason and Johnny Took on guitars, and with a three piece backing band, they deliver a sound that is so often likened to Oasis, thanks mainly in part to O’Dell’s very Britpop sounding vocals and his Liam Gallagher arrogant stance and posture on stage. 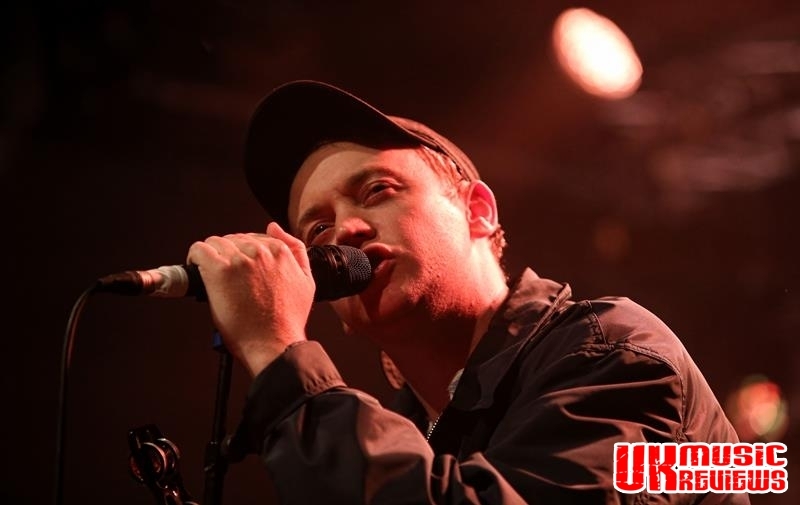 Touring to promote their second studio album, For Now, they delivered a frantic set list that saw very little chatter from O’Dell. 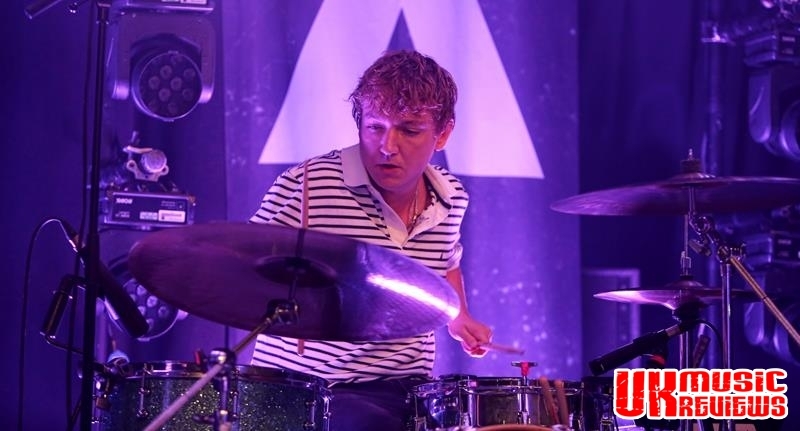 Highlights came from old songs such as Melbourne and Step Up The Morphine and by the time that the popular Delete made an appearance the crowd had turned into a heaving wall of bodies. 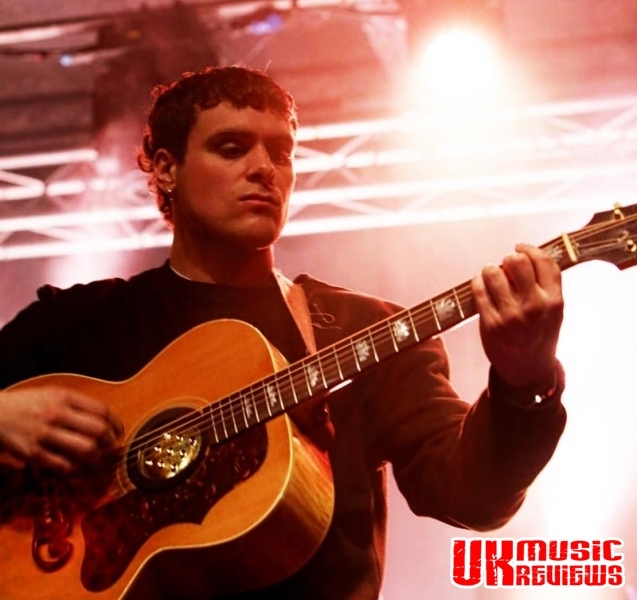 With O’Dell’s distinctive vocals and some impressive guitar solos, they harnessed the Manchester sound characterised by bands like Happy Mondays and Stone Roses with new songs Dawning and Warsaw before delivering a slower In The Air. 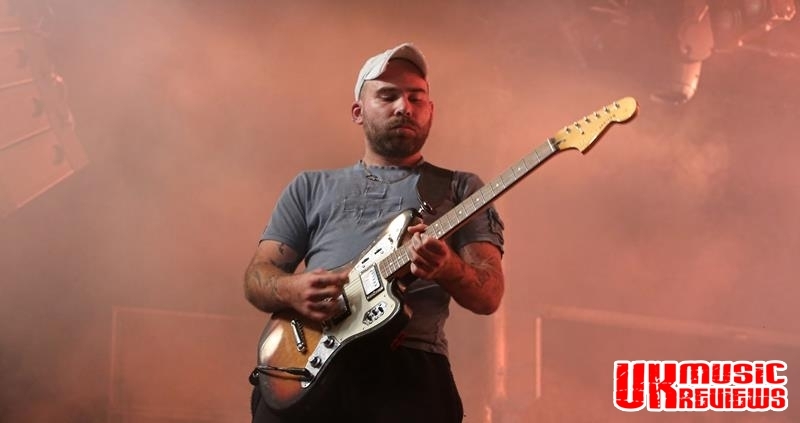 Finishing off the main set with their epic psychedelic song Emily Whyte, O’Dell looked beyond pleased as he leant on his mic stand in a blissful haze, well aware that he had had the entire room in the palm of his hand. 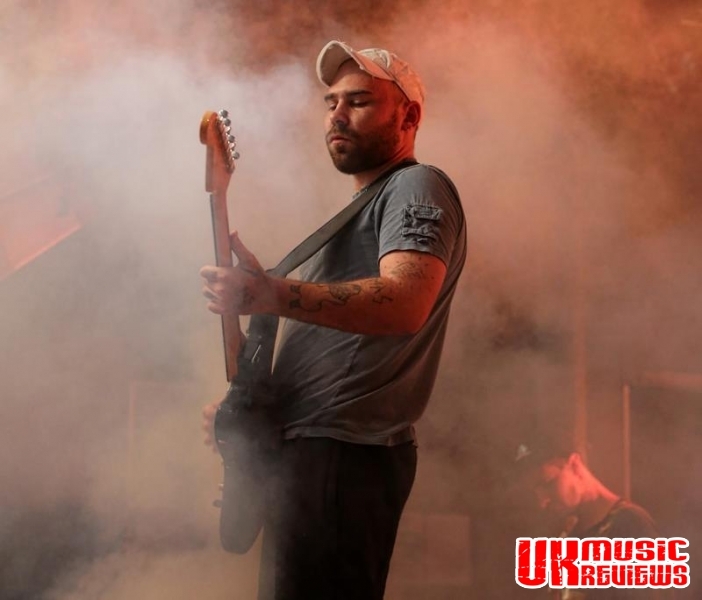 Encoring with three songs from their debut album Hills End, Play It Out really excited the crowd and In The Moment was a towering song with a sing along factor to match, before they rounded the night off with the pulsating Lay Down. 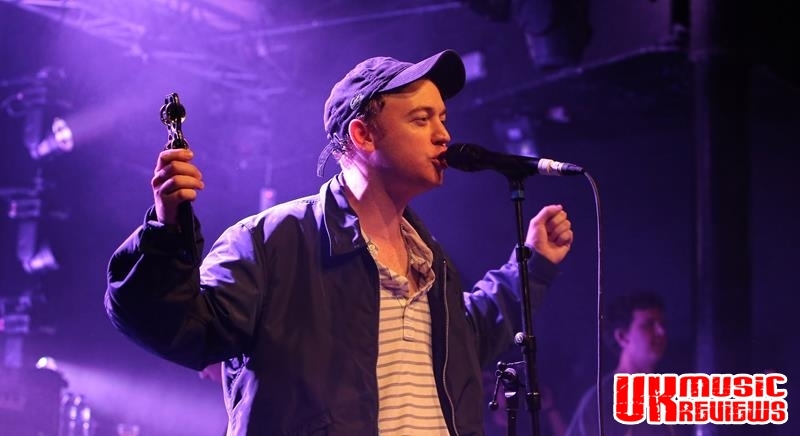 Going from strength to strength whilst simultaneously growing their fan base, it must be fair to say that this Sydney based trio are one of the most exciting indie rock bands around at the moment.